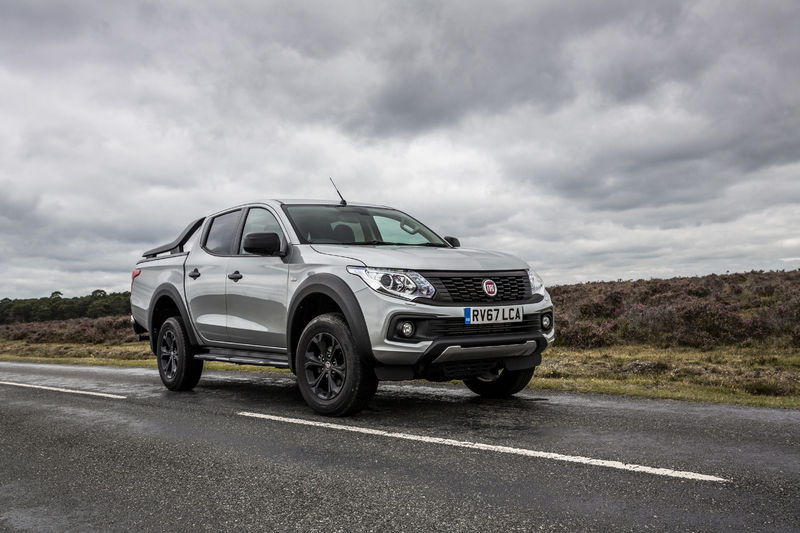 THERE'S no end in sight for the increasing demand for SUVs of all shapes and sizes but there's one other kind of vehicle that manufacturers have been falling over themselves to produce and that's the ‘lifestyle' pick-up. 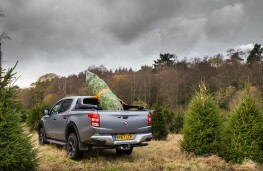 Even Mercedes have now introduced a model - the X-class - to meet the ever-increasing demand for ‘working' vehicles which are rugged and versatile but come with very specific car-class creature comforts. 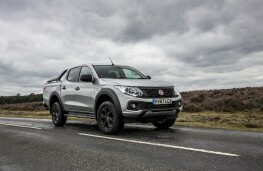 Launched in 2016, the award-winning Fiat Fullback is the Italian car maker's first proper entry into the European pick-up market. The top-of-the-range Fullback Cross is its tough, go-anywhere lifestyle vehicle, and they haven't made a bad fist of it. 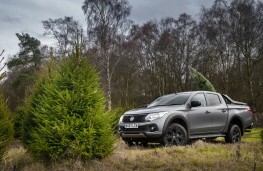 To differentiate it from its more rudimentary siblings, the Cross comes exclusively with a love-it-or-hate-it aerodynamic textured black sport bar, an aggressive front grille with black ingot, satin silver skid plate and moody matte black rear view mirrors, wheels arches and 17-inch wheels. All this is aimed at making the pick-up a little more ‘street', giving it a bit more ‘attitude', as are the innovatively styled side steps - also finished in black. The standout looks go hand-in-hand with a busy standard equipment list, including Bi-Xenon headlights, LED daytime running lights, dual-zone automatic climate control, cruise control, rear parking sensors, soft tailgate opening, plus leather seats and steering wheel. The comfortable, supportive front seats are also heated, with plenty of - electric - adjustment on the driver's side. 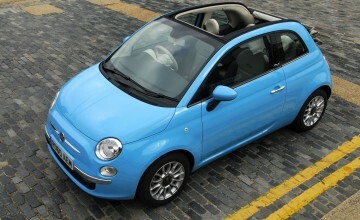 The piece de resistance is an easy-to-use seven-inch colour touchscreen with satnav, DAB radio and Bluetooth. 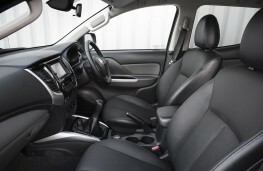 Available as a double cab only, an impressively roomy rear seating area adds to the outdoorsy family ‘lifestyle' image. However, it's fair to say the interior is sturdy and functional rather than luxurious. 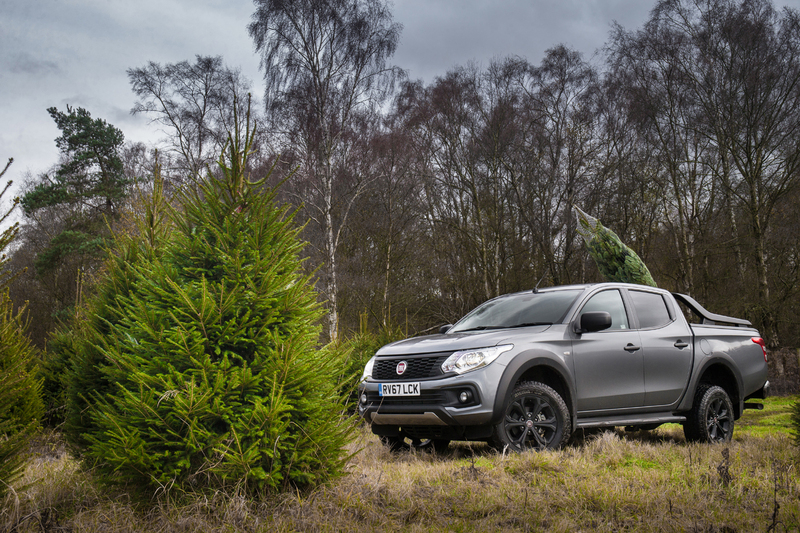 As it's identical under the skin to Mitsubishi's mighty L200, the Fullback Cross is also, however, an extremely functional 4x4 and pick-up, able to transport a payload of more than one tonne - a sturdy bed liner is standard - and tow 3,100kg. It's a real workhorse. It's powered by a meaty and relatively efficient 2.4-litre common rail turbodiesel matched to a six-speed manual transmission. A five-speed automatic with steering wheel paddleshifts is also available. With 430Nm of torque available, there's plenty of power on tap, especially low down. It officially returns nearly 40mpg but about 10mpg less than that would be more like reality. Like the vast majority of pick-ups. It's noisy under acceleration but settles down nicely on a cruise though, of course, there's a fair bit of wind and road noise because of the beefy aerodynamics and chunky tyres. Drive too fast on bumpy country roads and you'll lose all comfort as the Fullback leaps around likes its rugby namesake under a bombardment of garryowens. There's also a lot of body roll when cornering, again pretty standard for this kind of vehicle. 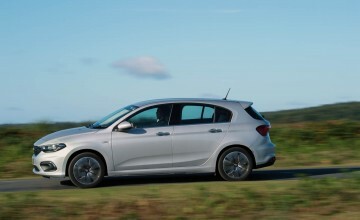 The traction system stands out in comparison to its competitors, with no fewer than four different driving modes, able to get drivers to any destination, and making it the most comprehensive in the lifestyle category. However, should you need to use your Fullback Cross to, well, cross more than a grassy verge or beachside car park, it is more than capable. With just the touch of a button, it switches from a fuel-saving two-wheel drive mode to all-wheel drive, with a Torsen central differential that automatically shares the torque between the front and rear axles in response to traction needs. The central differential can also be locked for a 50/50 front-rear axle split for off-road use. The simple-to-use system also offers the option of low-range gears and, for more extreme terrains, mechanical locking of the rear differential. Safety, essential even for a ‘lifestyle' vehicle is catered for by seven airbags, including driver's kneebag, electric stability control, trailer stability assist, lane departure warning, and hill start assist. So, there you have it. The Fullback Cross is a true 4x4, a proper, workmanlike pick-up, and a comfy load carrier for the outdoorsy family. 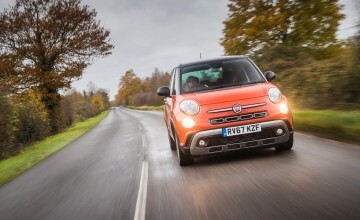 With Fiat's style tweaks it also stands out from its siblings as well as rivals like the L200 and Toyota's Hilux.